Donald Trump pledged to get tough on China on Day One in office. It didn't happen. He specifically promised to call China out for being a "currency manipulator." It's a fancy way of saying China is cheating on trade by making its currency, the yuan, super cheap. That, in turn, makes Chinese stuff sell at a deeper discount in the U.S. Many business and diplomatic leaders are relieved Trump backed off on this. 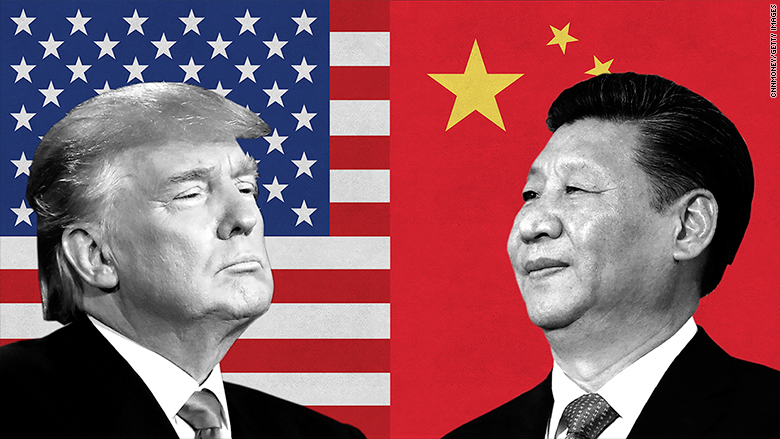 Having the U.S. and China -- the world's top two economies -- start a trade war would likely rattle markets. "It would be a concern if things became very contentious right off the bat," says Ethan Harris, global economist at Bank of America Merrill Lynch. Here's the other issue: China doesn't deserve the currency manipulator label anymore. Experts across the political spectrum agree on this. China is actually trying hard to make the yuan more expensive these days. It has spent over $800 billion in the past two years to try to prop up the yuan. "There does not seem to be any basis at the moment for accusing China of currency manipulation," says former U.S. Ambassador to China J. Stapleton Roy. Instead of putting pressure China on Day One, Trump actually gave China a gift of sorts when he formally withdrew the U.S. from the Asian trade deal known as TPP. It opens the door for China to take the lead on a big trade deal with other Asian nations. So has the Trump team changed its mind? It's possible, but a more likely scenario is that the Trump team is wrapping China's currency into a lengthy list of trade and security issues it wants to address with China. "I would talk to them first," Trump told the Wall Street Journal in an interview before he took office. 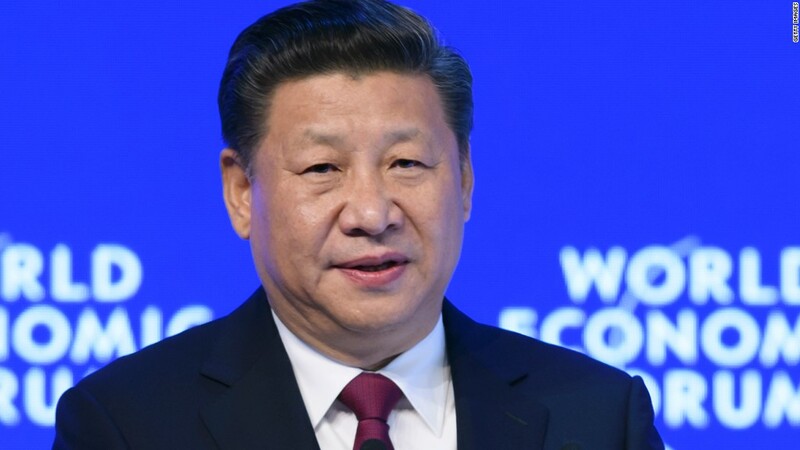 "Everything is under negotiation, including One China," he said, referring to whether the U.S. will continue to recognize Taiwan as part of China. Another reason Trump might be delaying is that Steve Mnuchin, his Treasury Secretary pick, hasn't been confirmed yet. When Trump made his pledges to go after China, it was always with the Treasury Secretary taking the lead. "On Day One of a Trump administration, the U.S. Treasury Department will designate China a currency manipulator," Trump wrote in a Wall Street Journal op-ed in late 2015. He reiterated that vow in his Contract with the American Voter outlining his priorities for the first 100 days: "I will direct the Secretary of the Treasury to label China a currency manipulator." It's difficult to keep that promise without a Treasury Secretary in place. In his confirmation hearings, Mnuchin was also careful to say that he would call China a currency manipulator "if warranted." The U.S. hasn't labeled China a currency manipulator since 1994. The label is a verbal slap to hurt China's pride. It wouldn't change much. It mostly just triggers more negotiations. 1. The country has significant trade surplus with the U.S.
2. The country has a large cash surplus. 3. The country has been doing persistent intervention in its currency market. Many people agree that China met those qualifications during much of the 1990s and early 2000s. Prior administrations opted to discuss it quietly behind closed doors with China. "China was a massive manipulator from the early part of the last decade until 2013 or 2014," says Bergsten, who wished President Obama and President George W. Bush had taken a tougher stance. But today China is in a very different place. Its economy has slowed somewhat, and the leadership is worried about how much money is leaving China. The government has intervened actively to try to stop the outflows and keep the currency from dropping. "I'm fairly confident there will be some kind of dramatic gesture from the Trump administration to initiate negotiations with China," predicts Harris of Bank of America Merrill Lynch. But Harris thinks it's wise for the Trump team to hit the pause button on going after China on currency manipulation. There are far bigger economic issues with China at the moment like theft U.S. intellectual property and how China favors domestic companies over foreign players. The new administration reiterated Monday that trade with China is "not a two-way street." It wants to do something about trade with China, but what exactly that is remains to be seen.